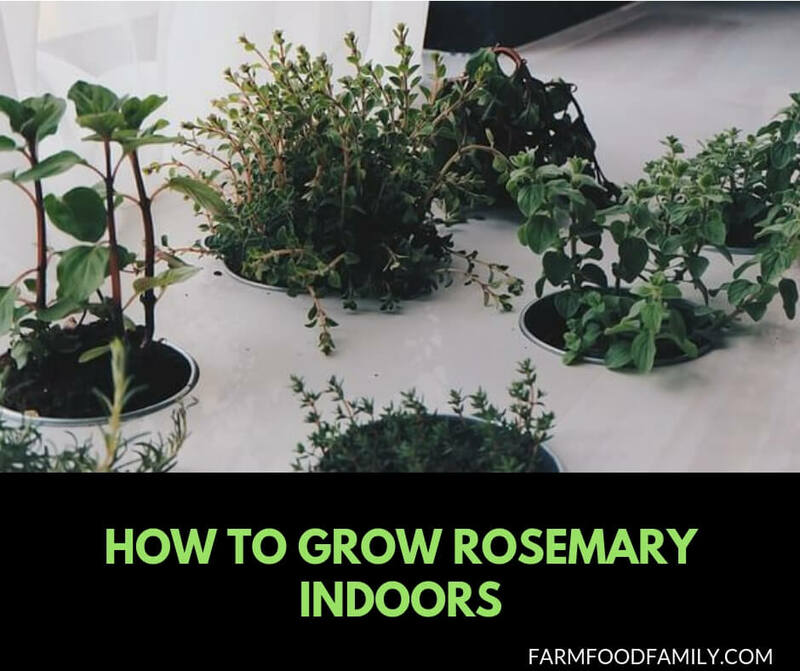 Rosemary can be grown indoors under the artificial light. Propagation of this herb by cutting and rooting is easier than propagation from seeds. Rosemary is an evergreen herb of the mint family. It can grow to a height of two to six feet. This perennial herb has needle-shaped leaves and blue flowers that bloom and emit compelling piny aroma throughout the spring and summer months. Rosemary can be used as an ornamental plant. It is used in perfumes and cosmetic products. More importantly, it holds a respectable position among spices in the culinary arena as a seasoning for meats, soups, gravy and sauces. Its leaves can be used for herbal tea and salads can be made from the flowers. This herb of the Mediterranean origin, grows well in warm and temperate climates. It can not tolerate cold climates (temperatures below 30 degrees F). Many people in the cold regions of the country are now standing up to the challenge of growing this perennial. The biggest challenge in growing the rosemary herb is getting the seeds to germinate. Optimization of the conditions for sprouting is necessary for success. New seeds should be obtained from a reputable source. A good seed starter soil containing peat moss or vermiculite should be used to assure adequate moisture and good aeration . Soak the seeds in the water for 2 to 3 hours before planting. Place the seed starter soil in a container with good drainage and water thoroughly. Let it stand for a few minutes before planting the seeds. Place the soaked seeds on top of the soil and cover lightly (1/8 inch) with soil . Keep the soil damp by misting with water from a spray bottle every two to four days, and maintain a temperature of 55 to 75 degrees F.
The optimal temperature for germination is 60 degrees F. Within two to three weeks, a few of the seeds will emerge. A 5 to 10% germination rate is reasonable. Note that excessive watering can kill the germinated plants. Place the plants under the fluorescent light (12-16 hours/day) until they are big enough to be transplanted into individual pots. Indoor herb gardens are convenient, fragrant, and pest-free. They require little maintenance and are simple to start! A more effective and reliable way of propagating rosemary is cutting and rooting. From an existing plant cut about two inches from a newly formed branch or stem. Next, place some potting soil in a pot (terra cotta pot, about 12 inches deep and 12 inches in diameter). This pot drains well and it allows the soil to dry easily. Rosemary prefers a fairly dry soil with a pH of 6.5 to 7.0. Make sure that the soil is dampened with water before transplanting the cutting. Sprinkle rooting hormone on the pre-dampened end of the two-inch cutting and place this end in the soil. Firm the soil around it and roots will develop within three weeks. Keep the soil damp during this period. When the leaves start coming out, place the plant under the artificial plant light (12-16 hours/day, using full spectrum compact fluorescent light) to substitute for sunlight, a necessary requirement for adequate growth of this plant. Sunlight and proper watering are essentially all that it needs. The soil should be allowed to dry completely between watering. That is why terra cotta pot is used. It facilitates the drying of the soil. Rosemary does not have significant pest problems because it possesses pest-repellent properties. Mildew, spider mite and aphid may occasionally infect this herb, but these can easily be controlled by spraying with a dilute solution of vinegar. One may re-pot this plant annually to assure continued good performance. Re-potting prevents the plant from becoming root-bound. It also enables one to replace the depleted plant nutrients. Addition of organic fertilizer to the re-potting soil is highly recommended.